We have extensive experience of Self Adhesive Materials & a friendly knowledgable team. Whether you need a machine or materials, stick with us to find out more about our products. Install the machine, train the customer to get the best productivity, supply everything they need to make a positive start, re-visit to ensure customer satisfaction. We then offer 3 types of Service & Maintenance Contract with the Machine. 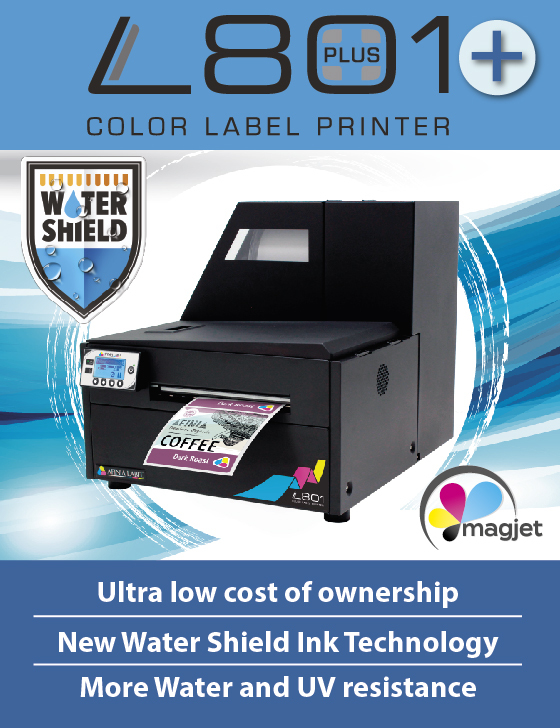 We offer a range of inkjet label printers to suit a wide variety of printing requirements. Our Afinia Label full-colour digital printers offer exceptional quality, efficient ink usage, and high speed. Whether you need high volume or just a few labels per day we have a machine for you. We have everything you need to complete your print job. From single-purpose machines, to our end-to-end in-line label press, you’ll find a solution to your finishing needs that gives your company great return on investment. Magnums range of high quality inkjet labelling machines are being used in a wide variety of cleaning applications. We have machines performing different roles in the market ranging from simple box labelling to product labelling and even laminated version in durable applications. Our machines remove the need to hold expensive printed stocks and allow our customers to print on demand whatever the need maybe. We also give our customers the ability to add value to their products by customising labels to the end users needs. If a local cleaning company wants a disinfectant trigger spray bottle with their company name, logo and design on it and they only want 20 bottles then our machinery can deliver it. If the same customer wants 500 bottles our inkjet label machinery can easily cope with the demand. Our friendly helpful staff will be at stand J18! 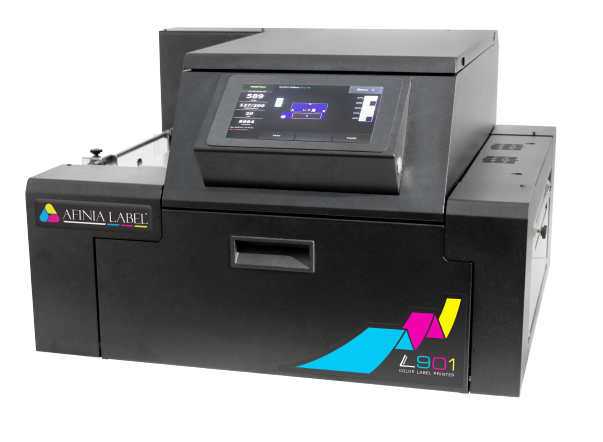 The Afinia L-801 Plus is a high speed inkjet label printer that is at the forefront of inkjet printing technology. Powered by Memjet technology the L-801 Plus is blisteringly fast with speeds up to 18 metres per minute on a 216mm width, producing vibrant full colour prints at a maximum of 1600dpi resolution. The revolutionary design utilises a 216mm wide static print head which has 70,400 jets that shoot millions of ink droplets through it per second. We are proud to be the UK’s No.1 Distributor for Afinia’s Label Printers and Print Finishers. We hope to keep leading in our industry through innovation & the highest possible standards in customer services. 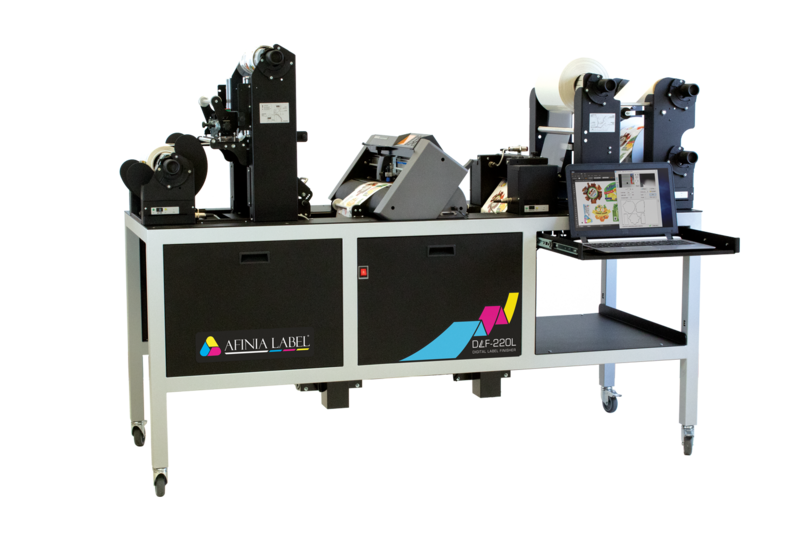 The DLF-140S (max 140mm width) and DLF-220S (max 220mm width) are small-footprint versions of our full-size label finishers, designed for tabletop use. Ultra-precise cutting abilities easily produce beautiful full-bleed labels without a need for costly dies. A digital cut file guides the DLF’s plotter as it converts uncut, continuous-printed media into fully-finished labels. 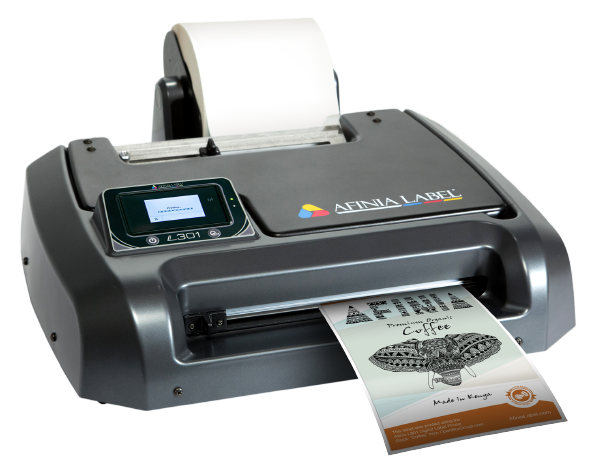 All Afinia Label digital finishers have advanced plotter cutting technology. This allows you to cut different types of material and shapes on-the-fly, without the additional cost of dies. They are also equipped with a camera-based black mark registration system for pinpoint accuracy and consistency. This provides cutting speed optimisation without synchronisation issues. Print your own Digital Labels with Magnum Materials. We have ranges of material to cover areas such as inkjet, laser, durable, labelling and tagging, our service is their to fulfil your needs. For over thirty years Magnum has offered a friendly, professional and high speed turn around. Most orders are shipped on the day of order which means you do not have to hold stock of unnecessary Product. Magnum offers a slitting and distribution service to reduce lead times and maximise your productivity. Manufacturers of materials are becoming less flexible about slit patterns that are available and minimum slitting widths. Magnum is keen to slit your materials as required no matter how big or small. For more information about contract slitting contact our sales office. Please contact our sales office on 0161 343 1131 to order your free of charge A5 samples of material. As a business Magnum is keen for its customers to test materials to ensure they are suitable for the end users application. If you require sample rolls please order from our sales office. We offer a variety of inkjet and laser label printers that suit your needs. 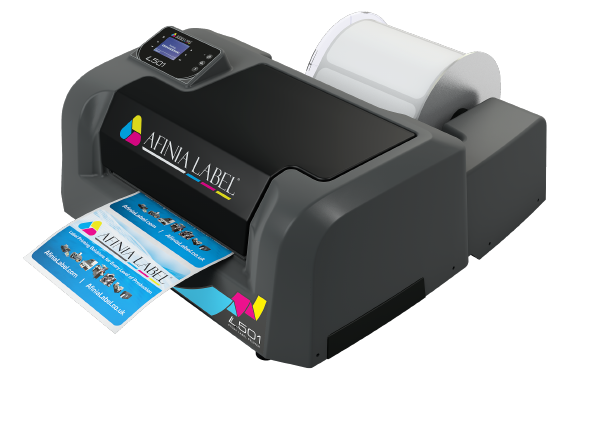 Our Afinia Label full-colour digital label printers offer exceptional quality, efficient ink usage, and high speed. At Magnum Materials, we have built a reputation for providing quality label industry products that make printing and finishing easier and more dependable than ever, while never losing focus on your number one overall concern: solid return on investment.